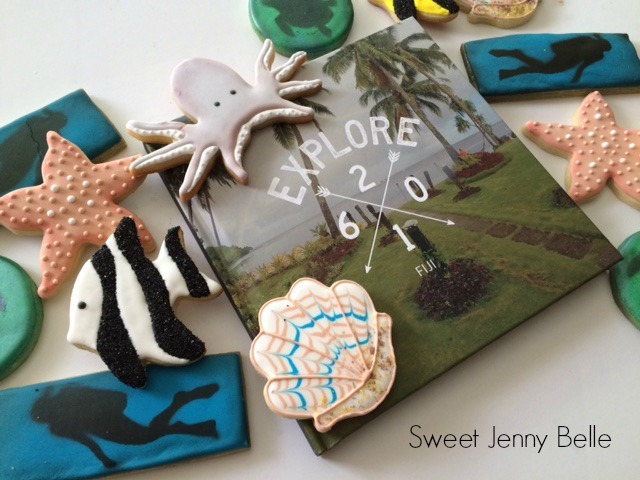 Have you enjoyed the scuba decorated cookies series this week? I hope I've inspired you and have been able to teach you a new trick or two. I'm so excited to give these to my dad for Father's Day! Every year I gift him a special set of cookies and a photo book. I take so many photos and love to share them on social media, but I rarely print them out. My Dad knows each year I will gift him a book that has all our family photos from the past year. A few months ago my scuba loving dad traveled to Fiji for an amazing diving adventure - sunken ships and beautiful sea life. I know he had an amazing time and was so excited to share that with my children with his photos. 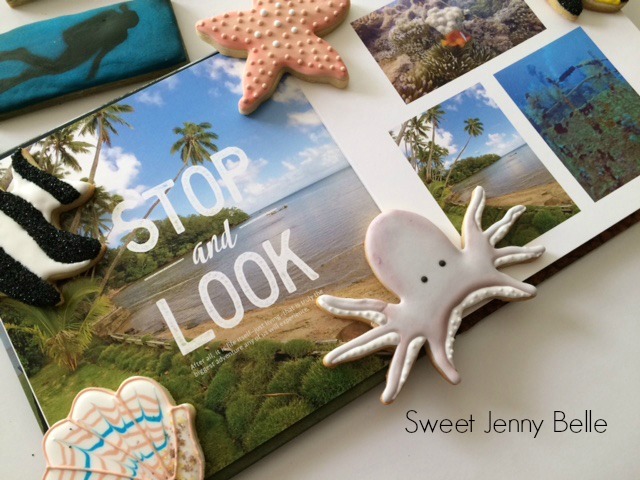 I knew that creating a photobook of his adventure would be the perfect gift for this Father's Day! I met Mixbooks at the SNAP convention back in April and have really wanted to collaborate with them. I saw their high level of quality that had been missing in books I've ordered from other companies. The printed color is true and gorgeous clarity! And now you can win too! Mixbook and I are sponsoring a giveaway below for $50 credit for any of their amazing products and dozen of my cookies in the theme of your choice. 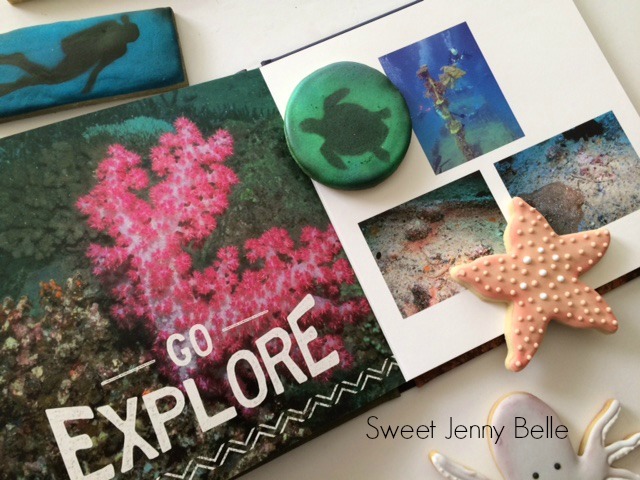 You can create a photo book for dad, a calendar of your kids or get started on holiday cards! I know you will love working with them and be thrilled with the quality. Those cookies are so cute!!! Love mixbook!